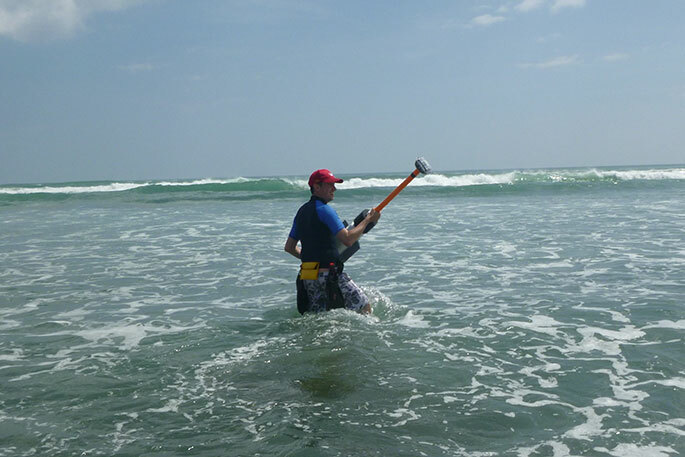 UC Geography’s Seb Pitman prepares to deploy a GPS drifter at Muriwai beach. Each year, around five people are killed in rip currents around the coast of Aotearoa New Zealand. Surf lifeguards attribute around 85 percent of their rescues, approximately 700 each year, to these fast, offshore flows of water.